UP B.Ed JEE 2018 - Uttar Pradesh B. Ed Joint Entrance Examination is a common entrance examination of Uttar Pradesh government, conducted by Lucknow University. Aspiring candidates who wish to pursue B. Ed program from Government, Aided, Self-financed Colleges and Universities located in Uttar Pradesh have to appear in UP B.Ed JEE 2018. The application for session 2018-20 started on 15 February and the last date to fill form was 23 March 2018. The candidates who have bachelor’s degree in Arts/ Social Science or Science with minimum 50% marks from a recognised university in India are eligible to apply for UP B.Ed JEE 2018. The candidates can check detailed information on eligibility criteria, application and selection process etc on this page. Domicile Certificate: The candidates belong to Uttar Pradesh state will have to produce domicile certificate which must be authorised by an Authorised officer in UP. The candidates who are passed in B.E. or B. Tech. must have secured minimum 55% aggregate marks. Blind category candidates will be given 5% of relaxation in minimum percentage of marks in qualifying examination. The application process for UP BEd has begun from 15 February 2018. The candidates who are seeking admission in BEd will have to fill the application form. The last date to fill the application form is 23 March 2018. As the deadline is approaching, the candidates are suggested to complete the application form filling soon. The link to fill the form is given below. STEP 1 - In the first step, the candidates have to follow the link given above on this page. To register, the candidates have to provide some general details. STEP 2 - The candidates after registration need to fill the application form by providing the personal, educational, communication etc. details. STEP 3 - Now the candidates have to upload the scanned copy of their latest passport size colour photograph and signature. STEP 4 - After providing all required details, the candidates have to now make payment of the application form. It is to be noticed that the payment should only be made through Bank of Baroda Payment Gateway. STEP 5 - At the end, the candidates have to now click submit button. Now the application form will be submitted and the candidates will receive a registration number and password. The candidates have to note down the application number and password for all future references. The application process is completely online. Hence, the candidates will have to submit the application by online only. After filling up the application form, the candidates are suggested to check the details filled by them in the application form before final submission. Once the candidates click on submit button, it is advisable to take printouts of the application form and keep it safe for future reference. The candidates, who have successfully submitted UP B.Ed JEE 2018 application form will be eligible to download UP B.Ed JEE Admit Card 2018. Admit card will be available to download one week before the examination. To download admit card, the candidates will have to log in using application number and password. The candidates have to download and take 2 copy of the printout of the admit card. you can follow the given link for more information on UP B.Ed 2018 Admit Card. UP B.Ed Result 2018 is for Uttar Pradesh B. Ed Joint Entrance Examination (UP B.Ed JEE) 2018 which is scheduled to be held on 11 April 2018 at various examination centre in UP. The candidates can check their UP B.Ed Result 2018 from 27 April to 15 May 2018. The more information can be obtained by following the link given below. The candidates who have applied for UP B.Ed JEE 2018 and appear in the entrance examination will be selected for counselling process through a merit list on the basis of marks scored by them in the entrance examination. 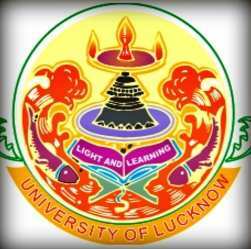 The candidates selected in the state level merit list will be called for counselling which will be held at the centre selected by the Lucknow University. The candidates will also have to produce all required documents for examining before the final offer to admission. The UP B.Ed JEE 2018 entrance examination will be divided into 2 parts- Part 1 will be theoretical and Part 2 will be practical paper. UP B.Ed JEE 2018 Part 1 - Question paper of paper 1 will have total 200 marks and multiple choice questions. Paper will have part A (General Knowledge) and Part B (Hindi or English Language). The candidates have to attempt any 1 language in Part B. Marking Scheme - Each correct answer will get 2 marks. Negative Marking - 1/3 mark will be deducted for each wrong answer. UP B.Ed JEE 2018 Part 2 - Question paper of Paper 2 will have total 200 marks and 3 hours. Paper 2 paper will have total 2 Parts Part A (General Aptitude Test) and Part B ( the Subject ability of Science/ Arts/ Commerce/Agriculture).